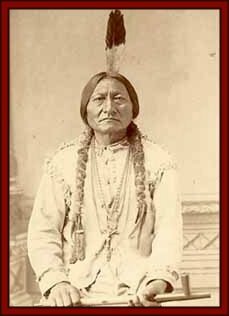 The famous Indian, Chief Rain-in-the-Face once suffered a great humiliation at the hands of Captain Tom Custer, brother of General George Custer. He swore vengeance, and made a boast that one day he would cut out Tom Custer's heart. 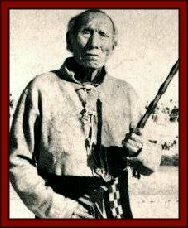 Rain-in-the-Face had to wait two years to make good his threat, but then on June 25, 1876, at the Battle of Little Bighorn he had his day. In telling about it later, he said, "I had sung the war song, I had smelt power smoke, my heart was bad--I was like one who had no mind. I rushed in and took their flag; my pony fell dead as I took it. 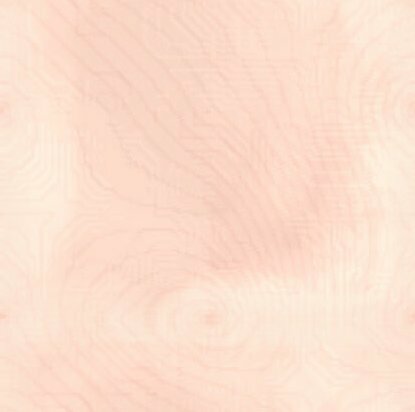 I cut the thong that bound me; I jumped up and brained the sword flag man with my war club, and ran back to our line with the flag. I was mad. I got a fresh pony and rushed back, shooting, cutting and slashing. This pony was shot and I got another. This time I saw Little Hair (Tom Custer)--I remembered my vow. I was crazy; I feared nothing. I knew nothing would hurt me, for I had my white weasel tail on. I don't know how many I killed trying to get at him. He knew me. I laughed at him and yelled at him. I saw his mouth move, but there was so much noise I couldn't hear his voice. He was afraid. When I got near enough I shot him with my revolver. My gun was gone, I didn't know where. I got back on my pony and rode off. I was satisfied and sick of fighting." THE SIOUX NATION consisted of about 20,000 people in 7 different tribes throughout the Great Plains. Free nomads of the Plains, they took great advantage of available horses which were originally brought to the Americas by Cortez and the Spanish in 1519. The horse allowed them the mobility to pull their tepees as they traveled and were an invaluable aid in hunting buffalo, their main staple. While the Sioux were known to be great warriors, the family was considered the key unit of Sioux life. Children, called "Wakanisha" (Waka meaning sacredness) were of primary importance to the Sioux family and were therefore the center of attention. While monogamy was the norm, Indian men had the ability to take on more than one wife. The roles of men and women were clearly defined. While the men were expected to provide for and defend the family by hunting and making war, the women were the matriarchs, ruling the family life and the domestic life of the tepee. When a man married a Sioux woman, it was expected that he would move into her home. The Sioux were a deeply spiritual people, who communed with the spirit world through music and dance. The Sun Dance was considered one of the most religious ceremonies of the Sioux. This twelve-day summer ritual of self-sacrifice was a testimony to individual courage and endurance in serving the Great Spirit. As a shared experience among men, the Sun Dance also instilled a sense of tribal unity. By dancing and enduring the pain of self-inflicted wounds, each participant reasserted his identity as an Indian warrior. Going on the war path was part of a rite of passage for males. War was the underlying principle of the Sioux people, because through it men gained prestige, and their prestige was reflected in the family honor. 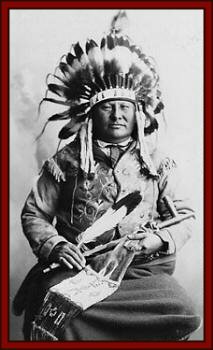 For the Sioux, the title of Chief was viewed as a medal earned for outstanding performance during times of war or peace. To be Chief was considered an honorary title. It did not mean, however, that the Chief was solely "in charge" of his people. Rather than a linear chain of command, the Indians traditionally ruled by unanimous vote of a council of Chiefs of "Headmen" from a variety of bands. Decisions made by the council served to guide rather than command the people. What has been done in my country I did not want. Did not ask for white people going through my country. 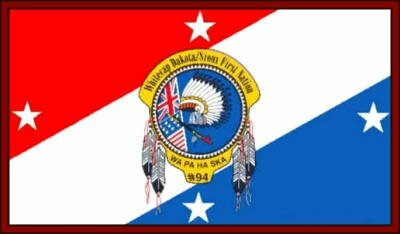 The Oglala Sioux Tribe is part of the Great Sioux Nation of the Titowan Division. 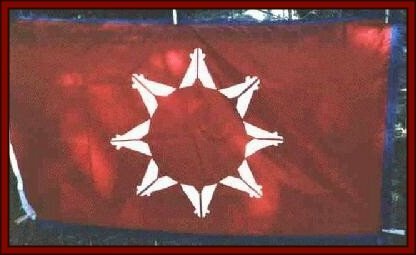 The Great Sioux Nation recognizes our land base in accordance with the Fort Laramie Treaty of 1851. The Great Sioux Nation extended from the Big Horn Mountains in the west to the eastern Wisconsin. The territory extended from Canada in the north to the Republican River in Kansas in the south. 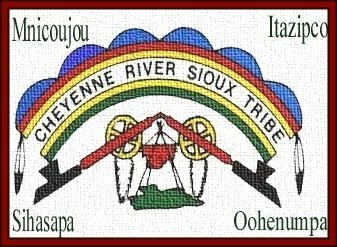 The Great Sioux Nation was reduced in the 1868 Fort Laramie Treaty from the Big Horn Mountains in the west to the east side of the Missouri River, the Heart River in North Dakota in the north and the Platte River in Nebraska to the south. This includes the entire western half of South Dakota. The Black Hills are located in the center the Great Sioux Nation. The Black Hills are sacred to the Lakota/Dakota people and today considered an important part of our spiritual lives. A direct violation of the 1868 Treaty was committed in 1874 by General George A. Custer and his 7th Cavalry. The 7th Cavalry entered the Black Hills, the center of the Great Sioux Nation and found gold in the Black Hills. The Gold Rush started the conflict between the United States and Great Sioux Nation. The Great Sioux Nation opposite this violation of the treaty. The United States Government wanted to buy or rent the Black Hills from the Lakota people. The Great Sioux Nation refused to sell or rent their sacred lands. The 7th Cavalry under General George A. Custer was requested to bring the Sioux bands in and place them on the reservation lands. On June 15, 1876, the Battle of the Little Big Horn between the 7th Cavalry and Lakota Nation with their allies Cheyenne and Arapahos at Greasy Grass, Montana took place. The Sioux Nation won a victory over General George A. Custer and his 7th Cavalry. The Great Sioux Nation scattered, some to Canada and others surrendered to the reservations. The United States Government demanded that the Lakota nation move to the reservations. The people finally surrendered after being cold and hungry and moved on the reservations. The government still insisted buying the Black Hills from the Lakota people. The Sioux (Lakota) Nation refused to sell their sacred lands. The United States Government introduced the Sell or Starve Bill or the Agreement of 1877. The Lakota people starved but refused to sell their sacred land so the U.S. Congress illegally took the Black Hills from the Great Sioux Nation. The Allotment Act of 1888 allotted Indian lands into 160-acre lots to individuals to divide the nation. The Act of 1889 broke up the Great Sioux Nation into smaller reservations, the remainder of which exist today at about one half their original size in 1889. 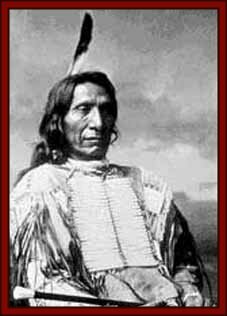 The Hunkpapa who lived in Sitting Bull's camp and relatives fled to the south onto the Cheyenne River Reservation. They joined the Big Foot Band in Cherry Creek, South Dakota then traveled to the Pine Ridge reservation to meet with Chief Red Cloud. The 7th Cavalry caught them at a place called Wounded Knee on December 29, 1890. The 7th Cavalry took all the weapons from the Lakota people. The 7th Cavalry massacred 300 people at Wounded Knee and left the bodies to freeze in the snow. The people of the Great Sioux Nation slowly recovered from this injustice and continue to survive in their homeland. Of all the reservations in the Dakotas, Pine Ridge is the one most noted on the National level. Several possible explanations for this recognition exist. First, in early reservation history Pine Ridge was the site of the 1890 tragedy at Wounded Knee Creek in which most of Chief Big Foot's band of Minneconjou Teton Sioux were annihilated by the Seventh Cavalry. In more recent history, National media attention was focused on the 1973 armed occupation of the community of Wounded Knee by members of the American Indian Movement (AIM). 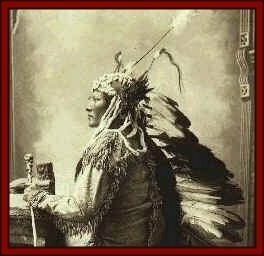 Despite all the adversity encountered by the Oglala they remain a people of vitality, hopefulness, and with their cultural identity intact.